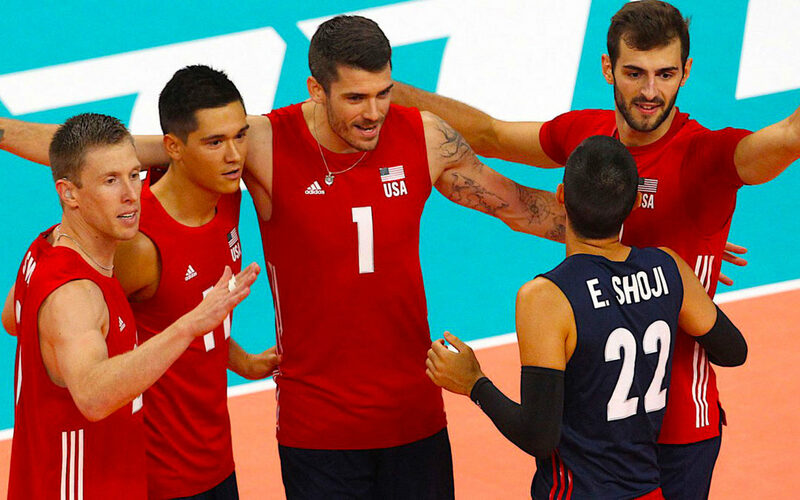 The FIVB Volleyball Nations League (VNL) enters its second season in the coming weeks and the United States are at the forefront of this exciting, new competition. Not only do the women’s team enter the 2019 VNL as defending champions, but the next three men’s finals will be held in the USA, starting in Chicago on July 10-14. The locations for the 2020 and 2021 finals are yet to be announced. 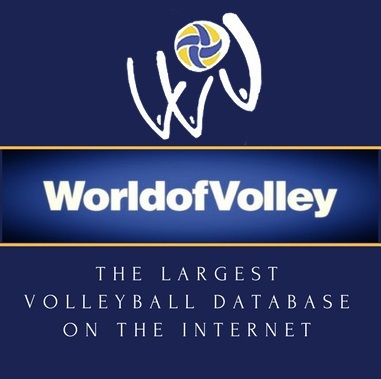 Replacing the long-running World League and World Grand Prix, the VNL was launched in 2017 promising to “revolutionise” international volleyball by revamping the tournament’s format, expanding global reach, increasing fan interaction, and innovating digital broadcasting. “The Volleyball Nations League is the most important competition in the FIVB’s history,” FIVB President Dr. Ary S. Graçaboldly claimed. As one of the 12 core teams in both the men’s and women’s VNL, the United States are guaranteed a presence in all future tournaments and are not at risk of relegation, which is reserved for the four challenger teams. Additionally, the USA men’s team are assured of a place in the six-team finals for the next three years as hosts. For a nation with such a thriving volleyball scene – from high school to international – hopes are that the VNL and its ambitious plans will further enhance the sport in the United States. The key to expansion for any sport is exposure: the more people exposed to a sport, the more followers and active participants are inevitably converted; the more people involved, the more sponsors and broadcasters are attracted and pour in money; the more money invested, the greater the resources to develop the sport and the better the overall level will become. The better the overall level, the more people are attracted to the sport and so on. It’s a proven formula that works across the board. The United States already has the volleyball infrastructure in place. At the highest level, the national teams are serial winners and have storied success in the men’s and women’s games, including multiple Olympic medals, World Cup success, and World League and World Grand Prix triumphs. At college level, the sport continues to grow year on year. According to the NCAA Sports Sponsorship Directory, 1,073 NCAA colleges registered their intentions to field women’s teams for the 2018/19 school year, with 334 in Division I, 303 in Division II, and 436 in Division III. Additionally, 226 women volleyball programs are sponsored by NAIA institutions as well as 456 from two-year colleges. Trailing their female counterparts quite significantly, nevertheless the men’s college game is the fastest growing sector with 150 NCAA schools sponsoring teams for this year, up from 109 in 2013/14. At high school, according to the NFHS participation report for 2017/18, volleyball remains the most popular sport for girls for the fourth successive year, while the boys game has enjoyed a 25 percent increase in participation numbers over the past decade. While the professional game has historically struggled to make inroads in the United States, the Premier Volleyball League (PVL), launched in 2012, aims to become a sustainable and successful league that can provide a platform for post-collegiate athletes eager to progress their careers. However, the majority of elite-level American players still ply their club trade overseas: the entire men’s 2018 World Championship roster play in Europe, while the current women’s squad compete professionally in either Europe, China, or Japan. So if the participation numbers are there, the interest in the sport is increasing, and the national teams continue to enjoy international success, how can the VNL further enhance volleyball in the United States? Bringing volleyball’s top stars to the country, be it in the pool stages of both leagues or the men’s finals, will invariably pique interest and further raise the profile of the sport. Indeed, choosing Chicago – a sports mad city – as this year’s finals host is a clever move by the VNL organizers. Also, the rise of soccer in the United States in recent years is proof that a widely-played sport that previously struggled to establish itself on a professional level can break through. It is worth remembering it that the growing popularity of soccer in American soil might be due to three factors, which volleyball enthusiasts can learn from: the investment in youth leagues and academies, the hyped foreign superstars in the national major competitions and the proper environment for a stronger supporter fanbase. In fact, fan involvement should be a key cornerstone of the VNL model both in terms of the game day experience and accessibility through digital coverage. The more involved existing supporters are and the easier it is to attract new fans, the greater the sport can expand. With a proper fanbase, volleyball can become as popular in the USA as NFL, basketball, baseball and horse racing. The foundations have always been in place for volleyball. Perhaps the VNL – with its progressive plans – and its presence in the USA can provide an additional boost to the sport’s evolution and help to establish its place among the nation’s professional leagues.